PARIS (Reuters) - General Electric's new CEO told France's finance minister on Wednesday that it would stick to his predecessor's French job pledges or pay a penalty, the Finance Ministry said. The U.S. conglomerate had committed to creating 1,000 net new jobs by the end of this year when it bought French group Alstom's energy business in 2015. Former CEO John Flannery warned French Finance Minister Bruno Le Maire in June that the target was "out of reach", and the government raised the possibility of fines worth 50,000 euros ($57,570) for each job not created. GE's new CEO Larry Culp, who took up his post at the start of the month, told Le Maire in a meeting on Wednesday that France remained a strategic country for the company, the ministry said in statement. "He (Culp) assured him (Le Maire) that General Electric would respect its contractual commitments with the French state," the ministry said in a statement. 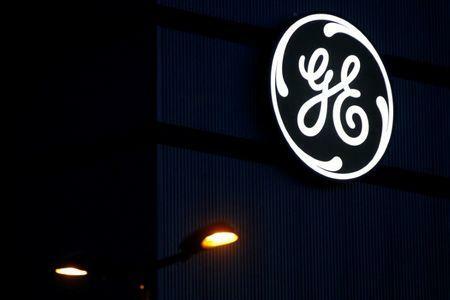 "In particular, GE will pay a penalty of 50 million euros in case the 1,000 net jobs planned are not created."